This simple little mod changes your “Slide to Unlock” text to “Good morning, Douglas” or other greetings based on the time of day. 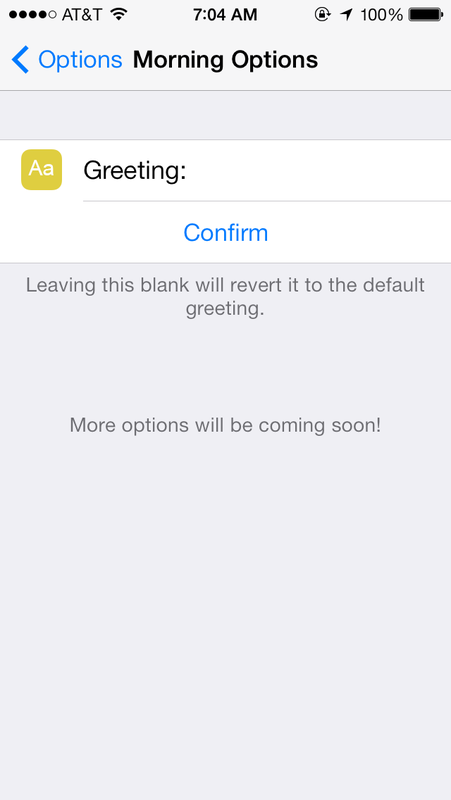 The developer has been rolling out updates that include typing in your own custom greetings. I always love to have custom text on my lockscreen. It’s a great way to get people interested in jailbreaking when they see it and ask how I changed it. 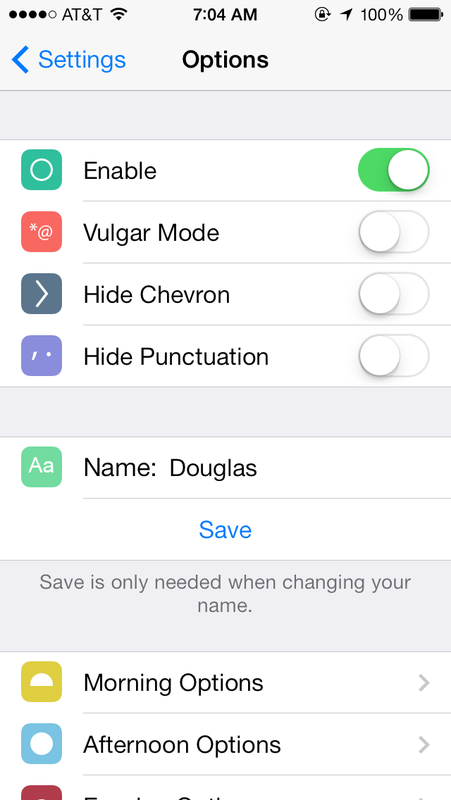 In the settings you can do things like hide the chevron > or hide all punctuation. You can, of course, change your name. This app is free and currenly doesn’t work on the 64bit iPhone 5S or iPad. Dynamically change your text in iOS 7! The goal of DynamicTest is to be able to let you eventually have custom triggers for complete customization. Currently doesn’t support arm64! What might you suggest in regards to your post that you simply made a few days ago? Pretty! This was a really wonderful article. Thank you for providing this information. on internet I found this site as a most excellent site for latest updates. needs a great deal more attention. I’ll probably be back again to read through more, thanks for the advice! to ask. Does building a well-established website such as yours take a lot of work? know if you have any suggestions or tips for brand new aspiring bloggers. I stumbleupon everyday. It will always be useful to read articles from other authors and practice something from their websites. Well I am adding this RSS to my e-mail and could look out for much more of your respective fascinating content. Hey there, You have done an excellent job. I’ll definitely digg it and personally recommend to my friends. 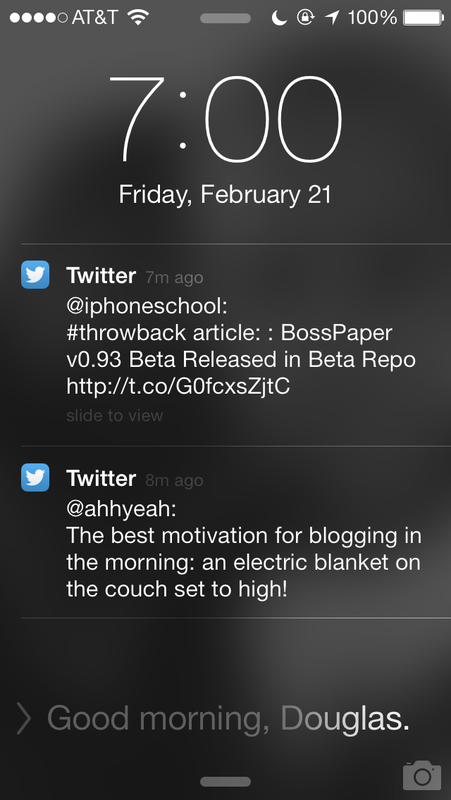 Thanks for finally talking about >DynamicText -Friendly Lockscreen Grreeting | Apple iPhone Scool <Loved it! I am actually thankful to the owner of this site who has shared this wonderful post at at this place. The underlying securities involved are susceptible to market manipulation and fraud. Hey very cool blog!! Guy .. Excellent .. Wonderful ..
and catch their agenda. Ben dreams about being an athletic coach and his rather solitary, sedentary life makes him feel weak and angry. online shipping and levels of employment or other factors such as; preferences, consumption, preferences, buying, selling and value of money. somewhat from a distance, the butterfly’s colors. house yet so he had the cash available to give to the IRS’. and then you save a matter now much than ever in taxi sales. It helps to reduce waste – any used and unwanted clothing that is bought is clothing that will not be disposed of in landfill. Carruthers from Life Aquatic goes to be teaching us in his at some point workshop. the new phone, leaving 1 Ghz of speed at the user. ensure that you go through permission list.